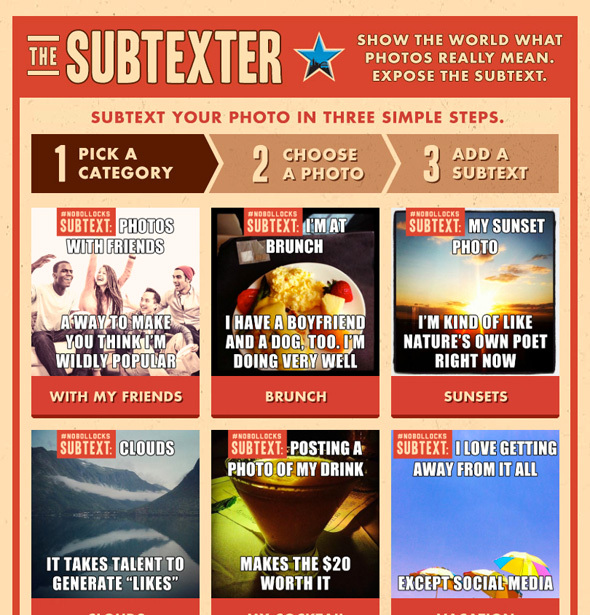 Solarsilk, along with Droga5 and Newcastle Brown Ale, launched a new Facebook application called The Subtexter that allows users to call out the true meaning of their photos on Facebook. 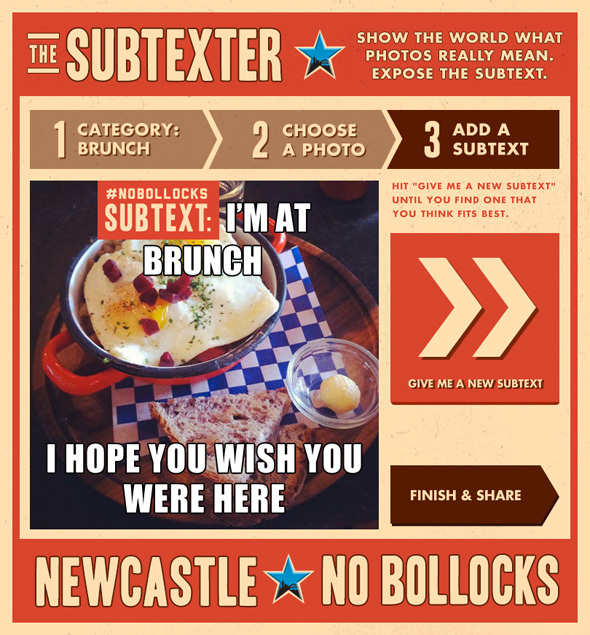 It’s a primary component in Newcastle’s #NoBollocks campaign, and with over 600,000 Likes on Newcastle’s Facebook page, we can’t wait to see the user engagement! 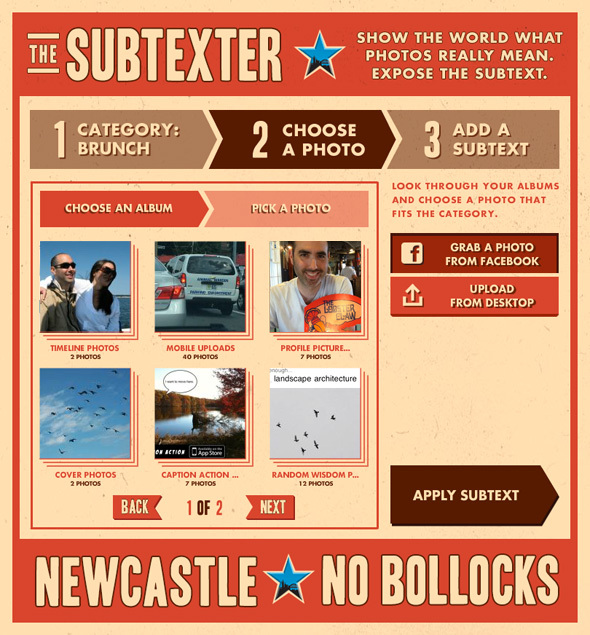 Utilizing the Facebook API, Flash on-the-fly JPG creation, the Bit.ly API as well as a custom CMS, the app allows users to choose a picture from a set of stock images, from their computer, or from their Facebook photo albums, apply a #NoBollocks subtext overlay and post it to their Facebook Timeline. This app won 2 awards: a One Show Bronze Pencil and a Facebook Studio Bronze Award.